Creating a stellar Instagram page seems like it’s getting harder, but it’s not as difficult as it seems. Today on Tipsy Social, we are sharing a few Instagram content ideas that you can use time and time again on your feed to connect with your fans and create new ones. People are nosy. They want to know more about what your company does on an everyday basis. Whether you create jewelry or work on creating courses that behind the scenes content is so important. There are many ways that you can create this content. 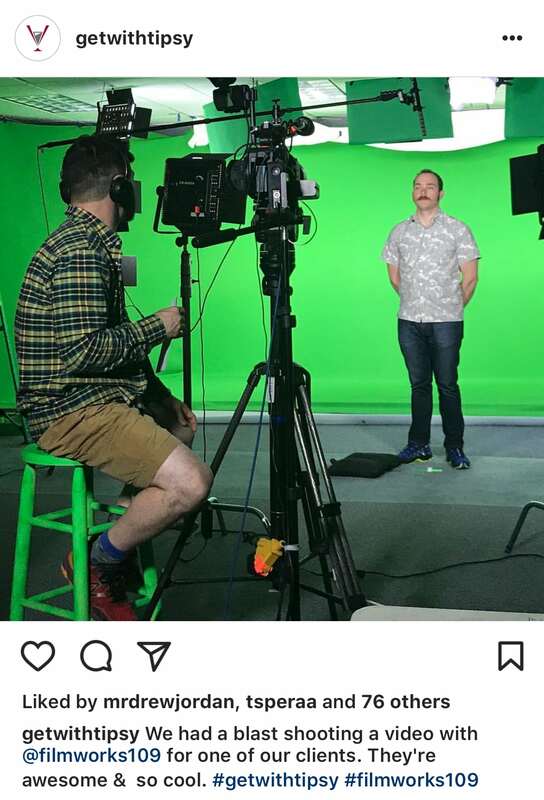 It may come in the form of a picture, a live stream, or an Instagram story. What does your view look like every day? Show the messy, show the beautiful, show it all. Show off your office: Do a video or picture tour showcasing the various parts of your office. What makes your office unique? Make your products: Showcase how you create jewelry, create your courses, etc. Create a timelapse of this and post it as a video on your Instagram. 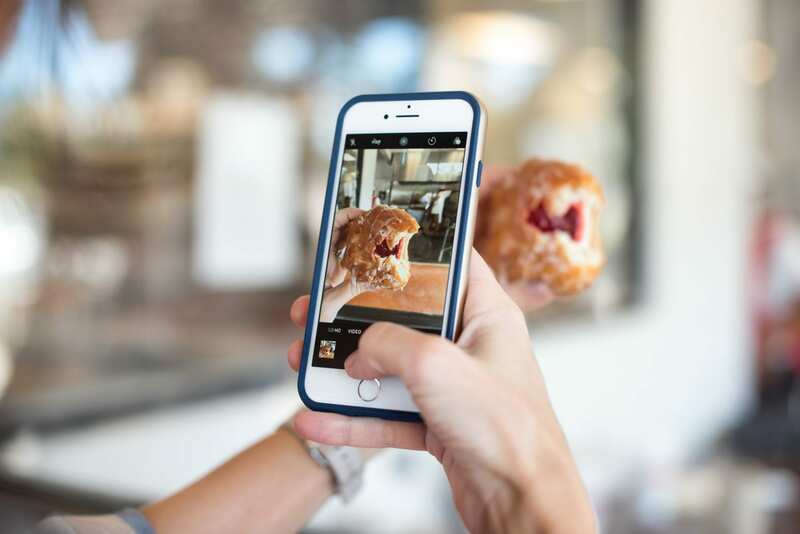 Instagram versus Reality: We all have those images that didn’t quite make it as our main image. Use Instagram’s multiple photo feature or Instagram stories to share the unedited version or the one that didn’t look quite right with your audience. One kind of content that always seems to do well on Instagram is sharing memes and quotes. Create a template for your company to share these memes and quotes, don’t just repost them from random accounts (especially if you want your account to look cohesive.) Create those templates with your companies website on them so if people repost your images you can potentially get some visitors to your site from that. Some Instagram accounts like My Therapist Says (2.5 million followers) or Betches (6 million followers) have created a huge audience around posting relatable memes that resonate with their audience. 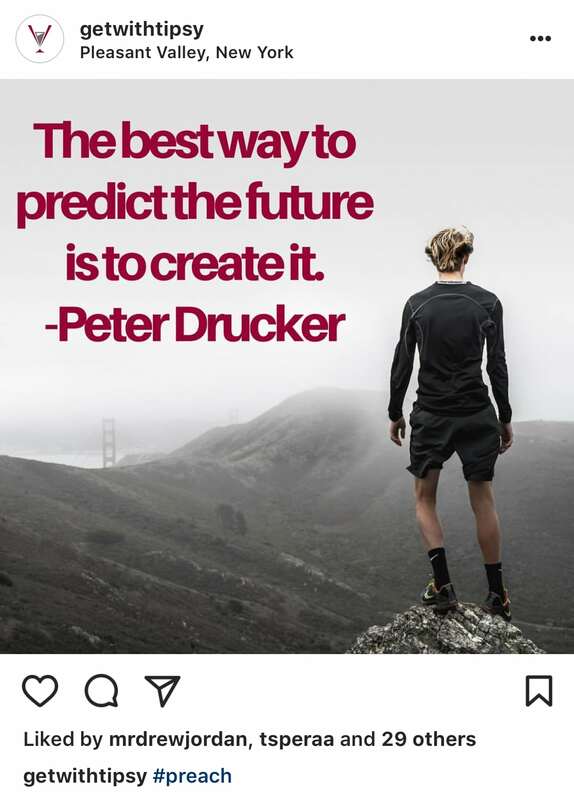 If you want to look at the quote side the Instagram account The Good Quote (13.5 million followers) created a huge following by posting quotes and tips. You may not want to create a meme or quote account, but you can still learn from them and post these relatable Instagram images that will resonate with your potential followers. Your fans are your biggest asset no matter what business you have. When you utilize their content they will want to create more content for you so you need to find space for them in your social media strategy. Create a hashtag for your brand that people can use in their posts so that you can easily collect all your user-generated content. Go through that hashtag every week to collect new post, and contact those fans to get permission to utilize those posts. In order to get people to send in content, you may host a contest for a $20 gift card or something bigger every month. This costs money, but if you can create more user-generated content using this strategy you will be saving time and effort creating content in-house. Gather those pictures of products in action, those testimonials you have, and more. If you can make these things seamlessly blend into your page you can create a wonderful social media strategy with less effort on your part. Let your audience do the selling for you! People come into your businesses journey at many different stages of it. They may have been with you since the beginning, but not all your fans know the journey your brand has taken. Create some spaces on your Instagram page for throwback content. What did your first office look like? What did your first product launch look like? What did your team look like when you first started? Showcase your latest office retreat. Show off the people at the office hanging out on Fridays after work. Show a picture from last week’s team meeting. Throwback Thursday just means that you are going back to a time in the past, the throwback doesn’t have to be that drastic. Teach your audience something new on Instagram. This works whether you have a business with a physical product or you have a business that sells a digital product. Whatever your products look like you can show your audience how to use your product or the basics of how to do something that you teach people how to do. For example, if you sell printers you can teach your audience on Instagram via a video on your feed or a live stream, how to use one of your bestselling printers. If you are a content creator you can teach people some of your best tips for creating stellar content. When you showcase your printer or writing services you are putting the thought of purchasing that printer or that service in your audience’s head. You are willing your audience to think about whether they need your new printer with fast printing abilities or whether they need your expertise to write pieces for them. There is a saying that goes, “A candle loses nothing by lighting another candle.” I think this is so true when it comes to your Instagram content. Once you have built your audience you can easily work with other business owners and influencers to build up their audience and expose your followers to new brands. There is space for us all at the top. When we celebrate the work of other people in our industry we can both be brought up in the process. Now, this doesn’t mean that your products have to be hidden away! You can promote both of your products at the same time. 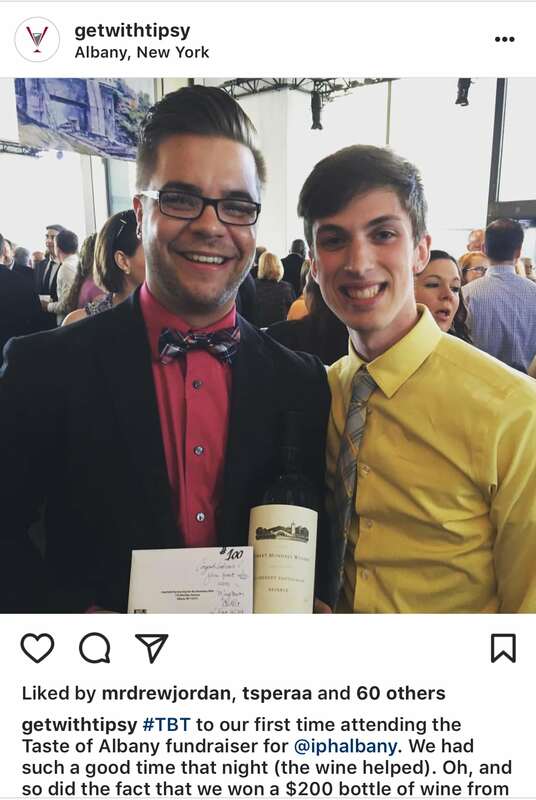 This shows your audience that you aren’t afraid to work alongside your “competition.” People like to see people come together and your Instagram can be a great way to showcase that togetherness. A great way to grow your brand or treat the followers who already follow your brand is a giveaway, contest, or a discount. This shouldn’t be a staple of your Instagram account because it might devalue the act of purchasing your products or services full-price. If someone can just wait for the next discount or the next giveaway that you are hosting, they may not value your products the same way. 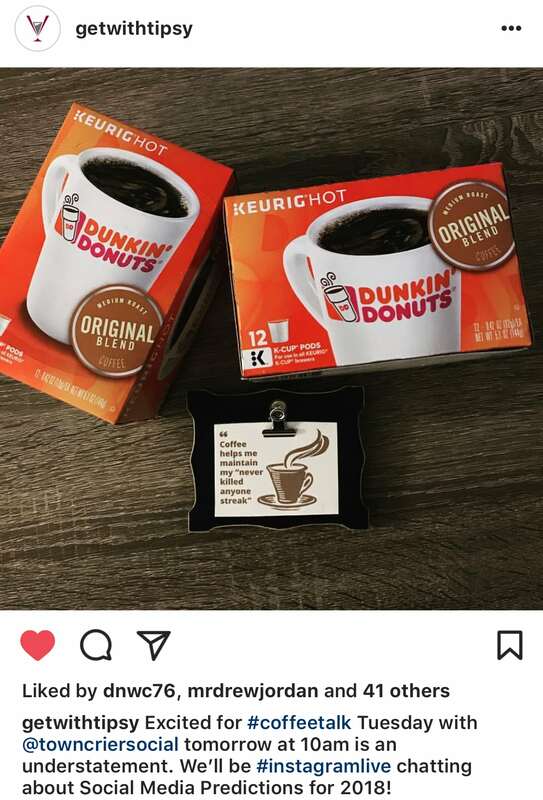 When you share things like giveaways make sure that you are following all of Instagram’s rules on promotions! Instagram doesn’t have nearly as many rules as Facebook does about hosting giveaways, but you still need to be aware of what they say so that your contests are on the up and up. Giveaway something small or work with other creators in your niche to giveaway a bigger prize. Make sure the prize would resonate with your ideal audience and don’t just hop on the first loop giveaway you find. Loop giveaway participants are likely to unfollow after the loop is over, especially if you enter a general loop. Create a loop of people who have a similar niche and give a targeted prize (not the same gold Macbook over and over!) If you and your loop buddies can giveaway a product you sell, that would be even better! Be the face of your brand! When you are able to create a close connection with your personality, you can rule as a small business. Big companies like Walmart or Pizza Hut have the ability to have a hands-off approach because they have been building their business well before the age of social media. Pizza Hut is going to sell pizzas regardless of their Instagram presence. You have a different business model though, a great Instagram presence can make companies these days. So get on Instagram, showcase the person behind the brand! Hop on a live stream and chat with your audience. Have a heart to heart with them! Make them fall in love with not only your products but with you as a person. The millennial audience loves genuine people they can rally behind versus a faceless corporation. 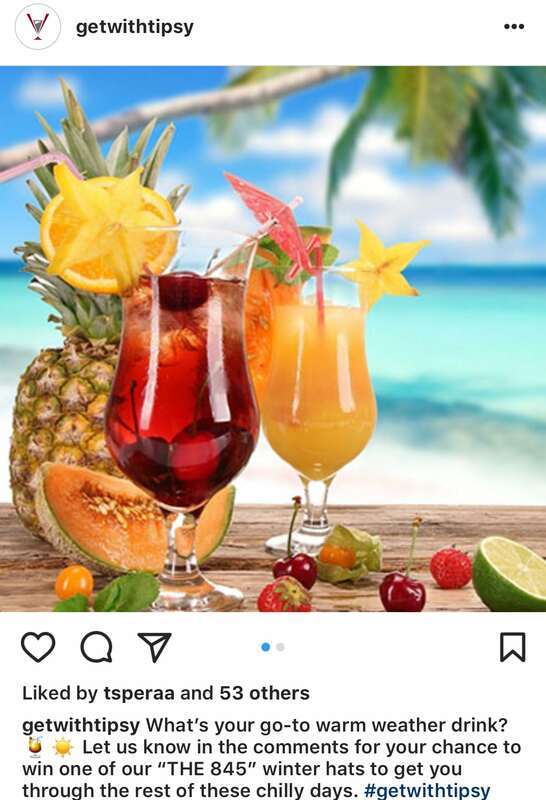 They want to connect with influencers and with the faces of the businesses they purchase from. When it comes to small businesses they won’t purchase if you treat your company like you are the CEO of a multi-billion dollar business. Your customers and coworkers lead interesting lives–let your audience know about them! Let them control your Instagram Stories or account every blue moon. This is basically Instagram’s entire model with their account. They let famous actors, authors, musicians, and more take over their Instagram Stories and show the world through their lens! This allows people to feel passionate about following Instagram’s account because they are able to get a glimpse at the life of many people through Instagram’s feed and Stories. Utilize that knowledge on your feed. Get your most engaged customers to show your audience the world the way they see it. Your audience will appreciate seeing people who are similar to them on your feed or in your stories. 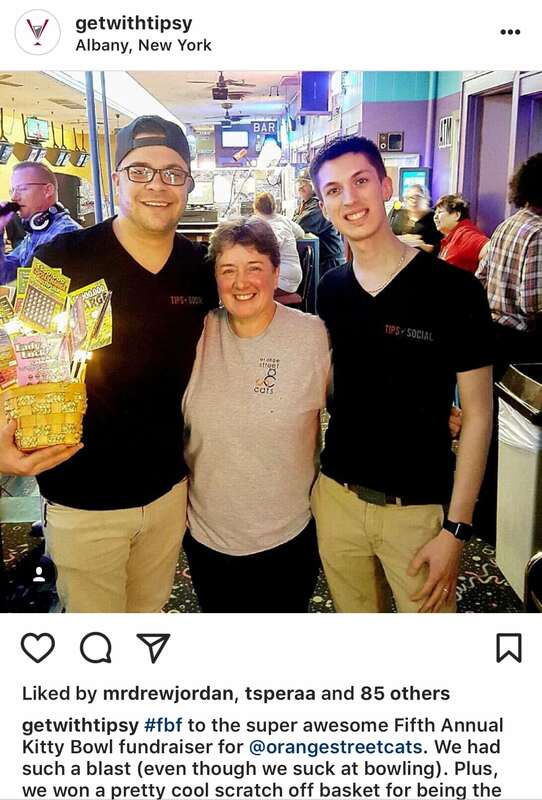 They will appreciate that you go above and beyond to celebrate your customers! 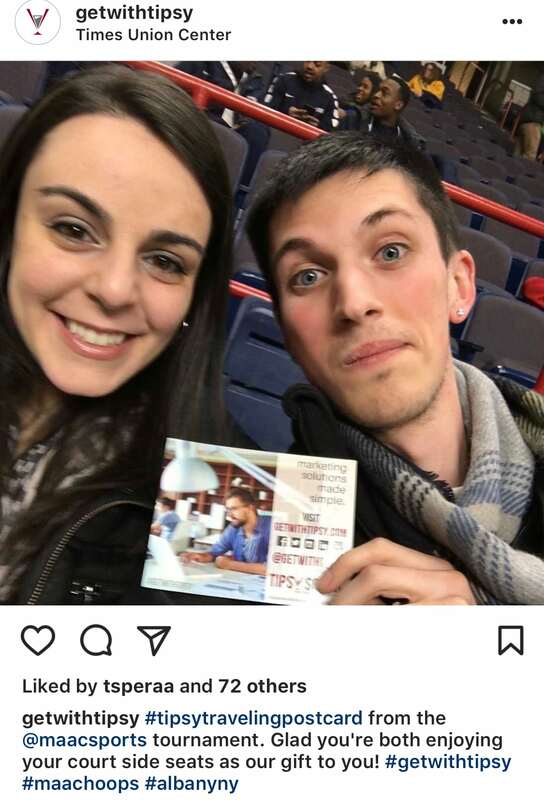 When your coworkers go to an interesting event like a concert or a talk ask them to bring the Instagram account along. Cover events that may be interesting to your audience while using or wearing your products! It’s the perfect blend of content because your audience sees them using your products while seeing something cool. One last Instagram content idea is to jump on the trends that you see popping up online. Don’t go insane creating content that doesn’t fit with your company values, but if you see a trend that connects with you and your audience, don’t be afraid to go for it. For example, many people jumped on the trend of creating videos for the ALS Ice Bucket Challenge. While this was a trend, at the end of the day it did a lot of good for the ALS Association. In fact, the ALS Association reported that from the Ice Bucket Challenge they raised over $100 million dollars in 30 days! Even though the challenge was a trend, it made a lasting impact on this organization. So, if the trend is right for your business, don’t be afraid to jump on it. It could garner you more supporters and create a lasting impact on organizations across the world!